Office space for lease is priced per square foot and calculated as an annual expense, so you need to know the square foot of space involved. The typical office is 10 feet by 12 feet. If you are leasing three offices, that amounts to 120 square feet per office, totaling 360 square feet; however, also included can be hallway and restroom calculations. And that is just for the space you use. There is also an added charge for common space, called CAM. 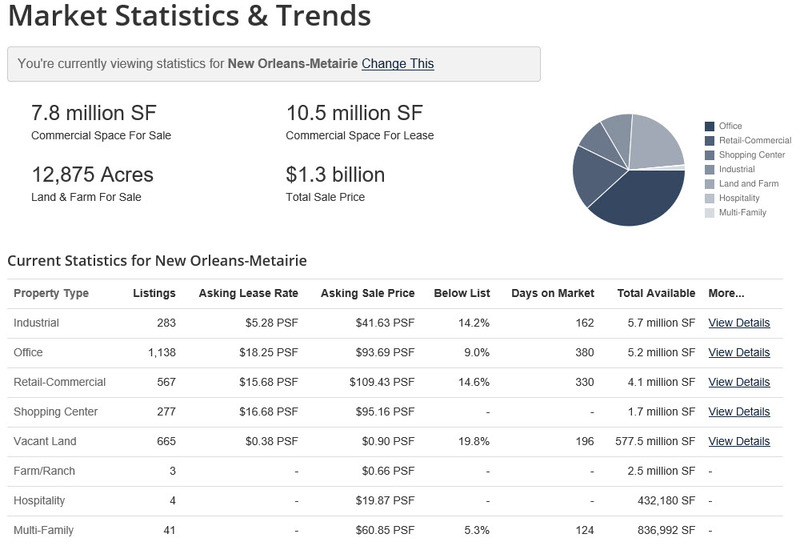 For example, if office rents in New Orleans average $16 per square foot, and you rent 1,000 square feet, the total annual rent is $16,000, or $1,333 per month. CAM charges could easily be $2-$5 extra. For more information on office leasing including CAM charges, read our article Office Market Trends.